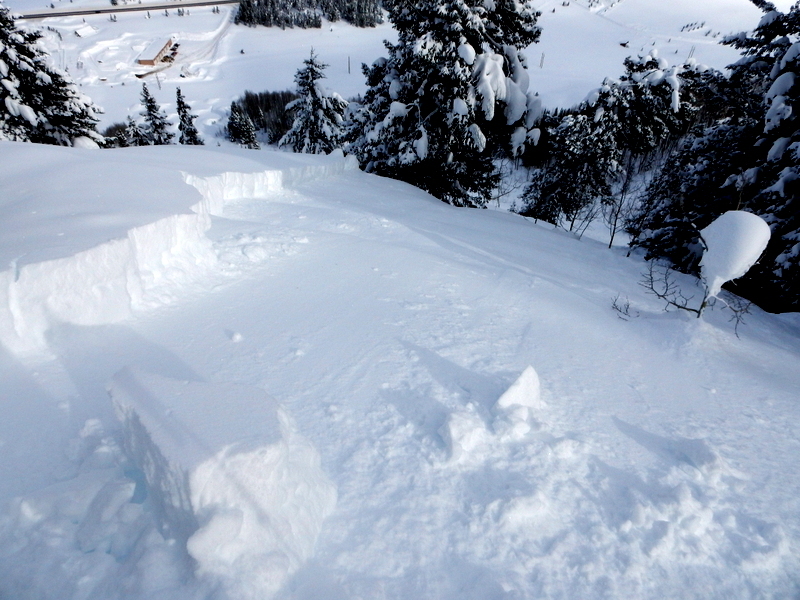 Avalanches: See video. 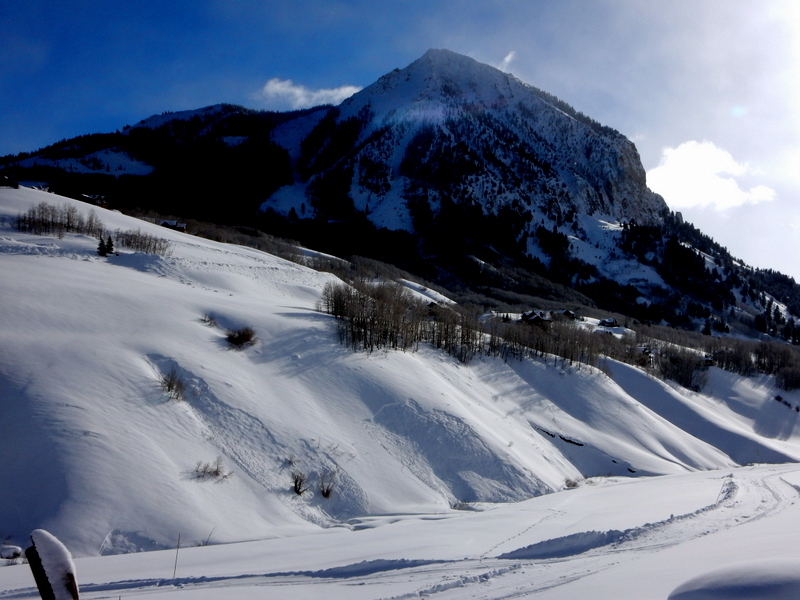 Skier triggered 7 soft slab avalanches 15-20″ deep on the 1/19 surface hoar layer, D1 to D2, depending on terrain size, on E and NE aspects below treeline. 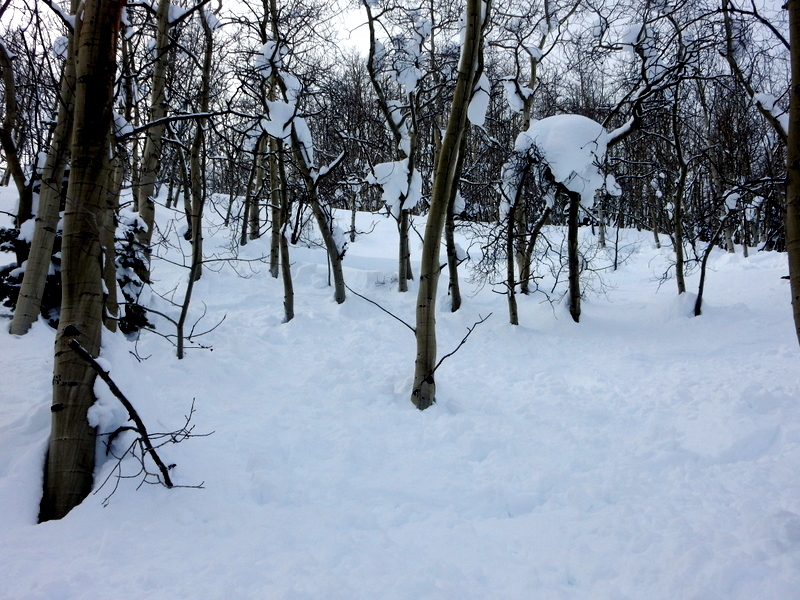 One was remote triggered, several were in surprisingly dense aspen trees, several broke onto slope angles as low as 31 and 32 degrees. One broke higher above me than expected and knocked me off my feet. 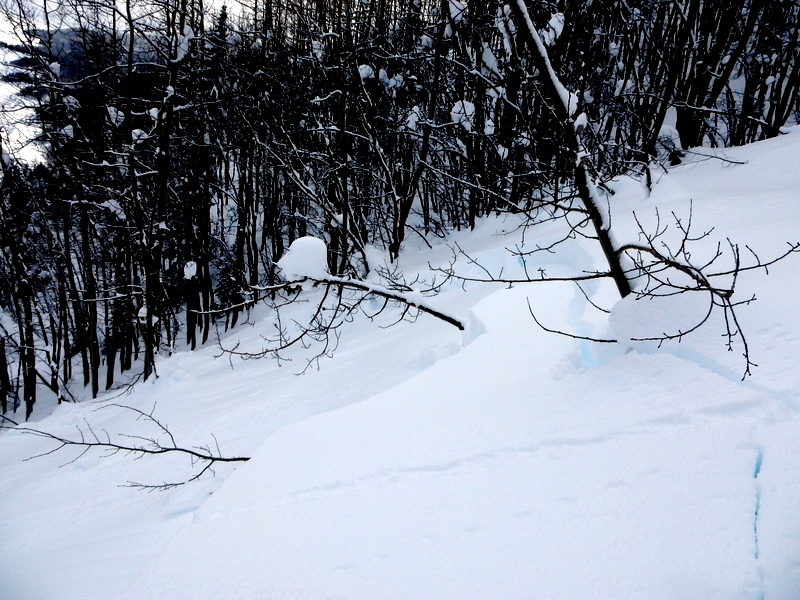 Every slope steep enough to slide went except for slopes that had already naturally avalanched. 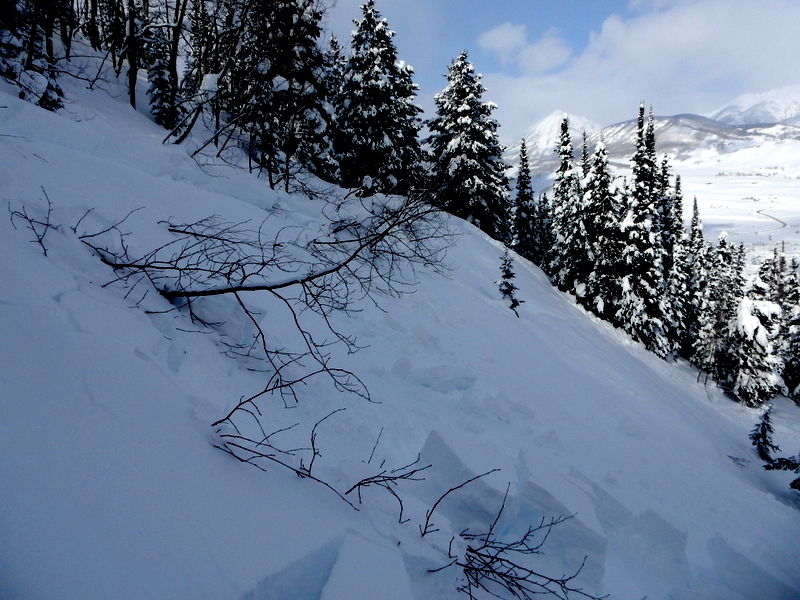 Also observed a fresh animal triggered and sympathetic slide on a SW aspect below treeline. SE aspect, 10200 ft in sparse aspens. No surface hoar observed, ECTN H, BRK 30cm deep on small, rounding facets. NE aspect, 10100 ft in a windsheltered opening. 1mm SH 33 cm deep. ECTN M, PC/BRK on the surface hoar. In the past 3 days, I have yet to find propagating results in an ECT but getting consistent avalanches on the surface hoar layer. The ECT appears to be unreliable for our current conditions, or else spatial variability is very pronounced. D1 animal triggered and sympathetic slide. SW aspect BTL, new in past 24 hours. Tracks in and tracks out…all good. Natural that ran during the storm in relatively thick aspens. 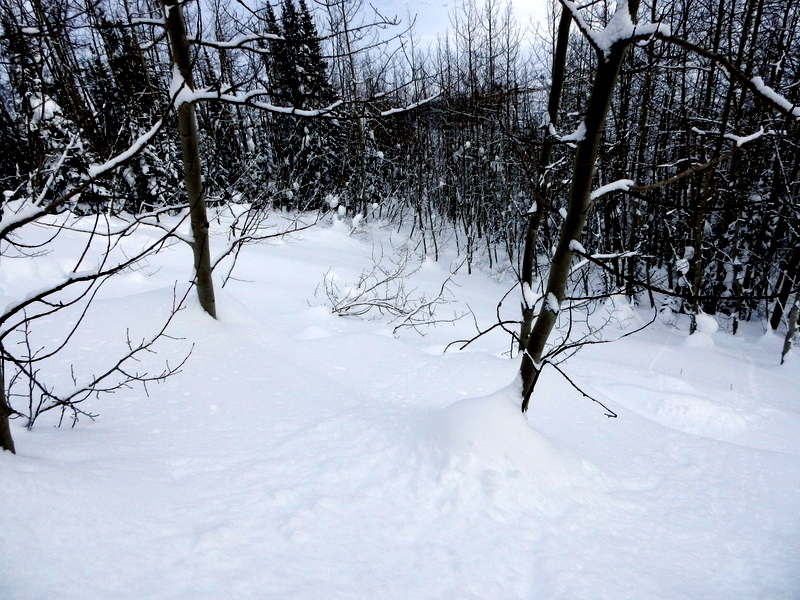 Crowns were all 15-20″ thick, on the 1/19 SH. Remotely triggered slide from 20 feet away. 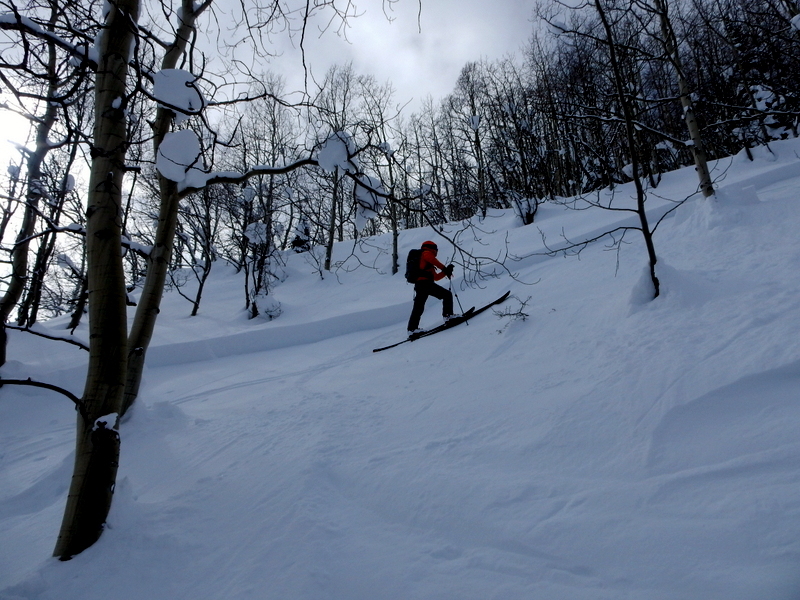 Skier triggered from edge of path, propagated back to 32 degree slope. Skier triggered, pulled out to 31 degree ridge.